Ever dream of traveling to the stars? Desislav Georgiev is a man on a mission. Through his project (known as AuroraX) he wants to transport you to the highest level of Earth’s atmosphere and beyond -to the awe inspiring reaches of space. This enterprising young man from Bulgaria is not running a start up business for space flight though. Instead, he’s a firm believer in the teleporting powers of music. A budding producer and DJ from the former Eastern bloc, his specialty is “multi-electronic genres and space cinematics”. Through his AuroraX project, he’s getting ready to release his sounds for the first time on the mothership record label: Altar Records. "Evolutionary Voyage" is a blissful, mind expanding journey from start to finish, through the realms of cosmic evolution, space and time. Desislav Georgiev’s mixes on Soundcloud are already a huge success, and his debut album is an inspiring initiation into the world of downtempo and ambient music. This is an album that redefines the fundamental laws of the known universe through the magic of sound: where gravity no longer exists, stars are born before your eyes, travel is a quick as thought, and where there are no rules; only the free flow of wondrous and creative minds in ecstatic exploration. 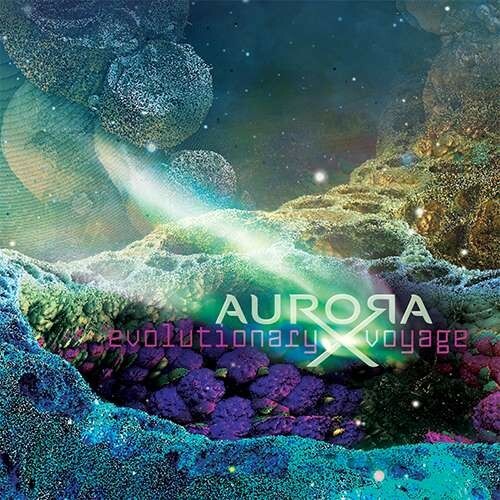 By creating a finely tuned tapestry of textures, warm, pulsating sounds and ambient space, AuroraX brings a fresh new perspective to the meaning of universal consciousness.